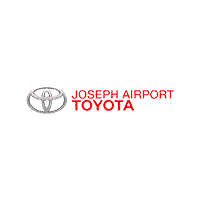 If you’re looking for a used Toyota Camry near Dayton OH, look no further than here at Joseph Airport Toyota. We’ve got a huge selection of the popular used Toyota Camry for you to choose from all in one place, and we’ll also offer some perks that other dealerships can’t offer. The Camry is one that’s known for dependability, so it will make a great choice to be your next new-to-you car. At Joseph Airport Toyota, we have a large selection of used Camry here at our showroom. Our friendly Toyota sales staff would be happy to answer any questions you may have, or even help set you up with a test drive when you’ve found one that’s a good fit. By buying something pre-owned, you’ll definitely save some money that would usually be lost to depreciation. We want to help you find exactly what you’ve been looking for and stay within your budget. The Camry is a great, dependable option for a sedan, especially when buying used. You’ll love the fact that it also is able to be covered by our protection for some extra peace of mind. Our exclusive Yes Plan Lifetime Warranty will cover repairs that would usually be expensive should anything go wrong with your pre-owned purchase in the future. It covers the many components of the engine, transmission, and drivetrain. Save yourself worry (and maybe even money) down the road with our Yes Plan. We want you to enjoy your car buying experience with us, so we go the extra mile to make sure you get exactly what you want and need. We can help with financing for your used Toyota Camry if you need it, and our friendly sales team would love to help you get to know your new vehicle as well. When it comes to pre-owned Toyotas, we can save you the hassle of having to run all over to see all of your options as well. Choose from our carefully-inspected, large selection and find the one that works for you easily. Plus, we’re conveniently located near Dayton, OH. We’d love to show you our extensive collection of used Toyota Camry here at Joseph Airport Toyota and help you find the one that works for you. Stop by today and one of our friendly and knowledgeable sales representatives can answer any of your questions and help you along with the process. With lots of options for financing and the added protection of our Yes Plan Lifetime Warranty, we can help you get the car you want and feel great about your purchase. Let us help you with your next car purchase here at Joseph Airport Toyota. Are you a music lover? Does your soul crave something a little funky and a little fun? The used Toyota Camry fits your personality and soothes your soul. 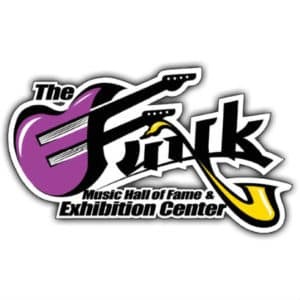 Why not drive it over to The Funk Music Hall of Fame and appreciate musicians from our past that have made music what it is today? Get ready to get funky in your Camry, then listen to the Funk when you arrive.